Shiraz carpets are simple Persian carpets made of wool from the region. The natural material is processed to a knot density of 80,000-160,000 knots per square metre. 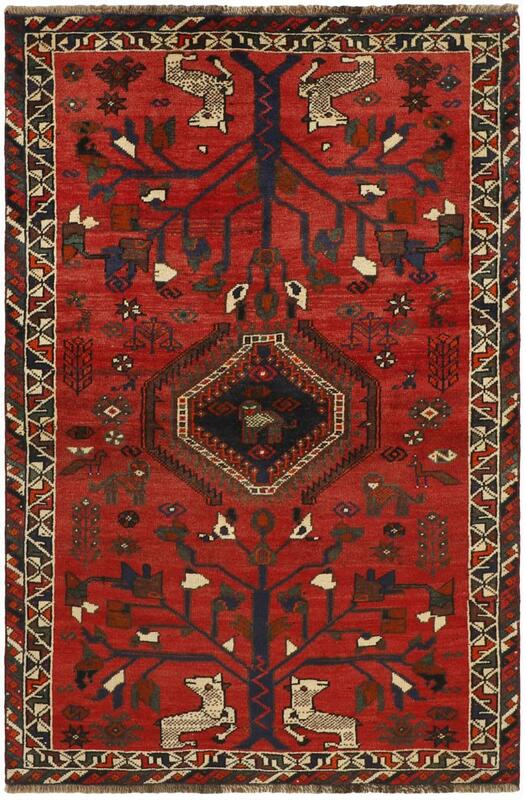 The carpets mostly originate from nomadic production. 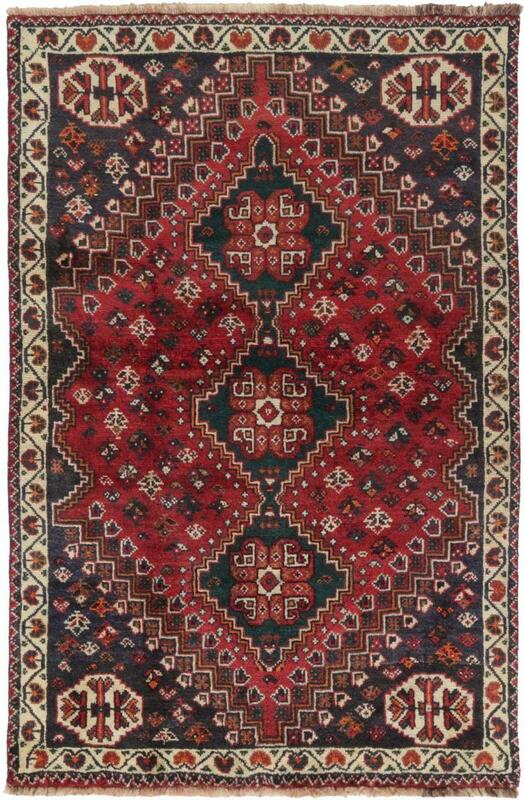 In the area of the city live Ghaschghai-nomads, whose rug knotting tradition goes back a long way. The carpets they produce are traded either under the name of Ghashghai or under the name of Shiras (Shiraz) in the city's bazaars. The city is located in the province of Fars in the ruins of the Persepolis. 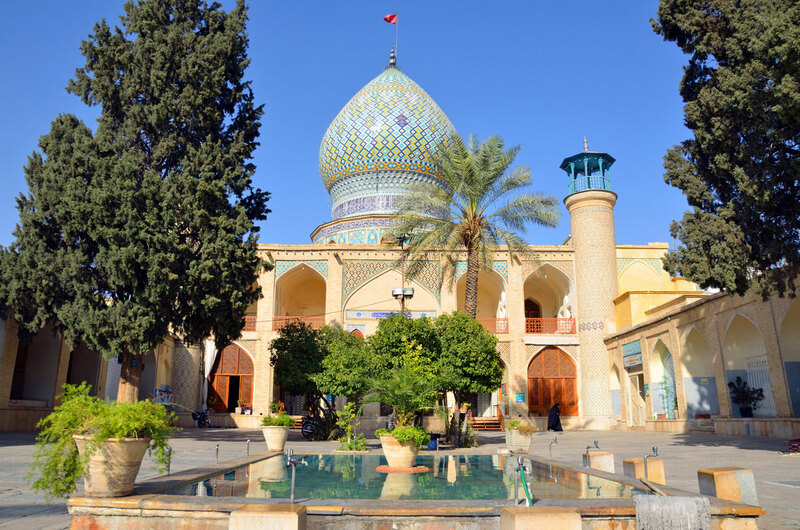 The city is known among Iranians for its relaxed culture, atmosphere and literary history. These rugs have been provided from an assortment of over 180 Shiraz rugs by Nain Trading from Hamburg. Hamburg, Germany is still the most important hub for the trade of oriental rugs in the Western World with Nain Trading offering one of the largest assortments of handmade oriental carpets worldwide. Nasir Al-Molk in Shiraz, Iran Ruins of the old Persepolis (former capital of Persia). 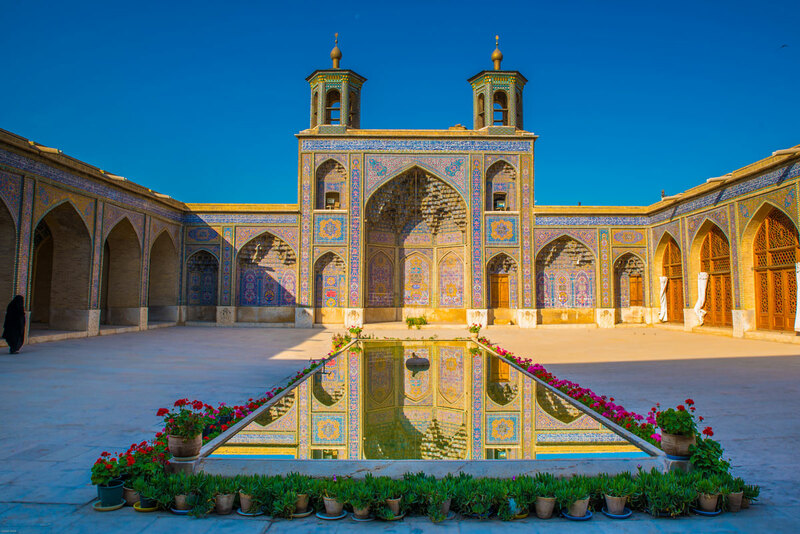 Location - where is Shiraz (Schiras) located? The city is located in the central south of Iran. It is known for its literary history and its numerous gardens.